I’d like to thank John McGee and my friends at Binswanger Glass for sending me a notice of recall from Ford Motor Co. about the 2014 Transit Cargo Van, assembled in Spain. The interesting thing about this vehicle is that the panel our industry is asked to help fix is not made of glass, but of polycarbonate. Obviously, there has been a problem with plastic to metal bonding ever since urethane was introduced as an automotive adhesive. Urethane does not adhere aggressively to plastic unless extraordinary products or procedures are introduced to the process of bonding. This recall proves that fact once again. 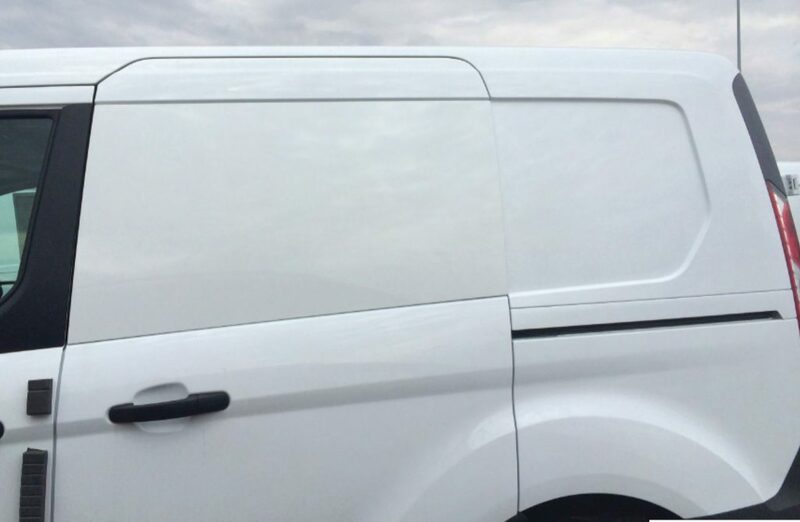 Many of the new cargo vehicles like the Transit or Sprinter start as a blank slate, easily adapted to a customer’s particular needs. You want a people mover? Remove the panels, put in glass, insulate and panel the walls, put in multiple seating units and add environment systems like A/C and heating. Need a mobile shop? Keep the panels in place, add an energy source, build in tool boxes and supply drawers and you’re all set. I have seen Sprinter dealers who adapted Dodge Sprinters into Mercedes and Peterbilt Sprinters simply by changing the grills and hoods. These vehicles are designed to be adaptable. It is no wonder that Ford designed a vehicle that has removable panels for ease of customization. 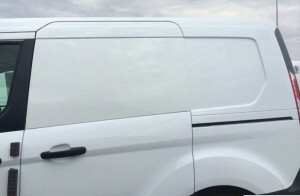 “Before demonstrating or delivering any of the vehicles involved in this recall, dealers are to remove and reinstall the sliding door plastic panel(s) using proper materials and procedures. This service must be performed on all affected vehicles at no charge to the vehicle owner. NOTE: This repair may be sublet to a professional glass repair facility in accordance with the Warranty & Policy Manual. Thank you, Ford, for steering some work our way. We will gladly take up the responsibility and get it done right. So, for the sake of quality control and ease of repair, I have included the Ford instructions for repair. I am researching additional information on this recall and will include the findings in future posts, but I felt that this recall announcement must be made known as soon as possible so the safety issues can be addressed. I am unsure at this time who serves as the OE adhesive supplier is for this vehicle, considering it is assembled in Spain, or if the instructions allow for other adhesive products to be used. In the meantime, to protect from liability and to make sure compatibility issues are met, I suggest that when this repair is contracted, obtain the OE adhesive kit from the dealer or manufacturer and follow the instructions exactly the way they are written. The removal and installation procedure for the sliding door plastic panels is similar to fixed glass (windshield) replacement. This repair is being performed to resolve potential improper bond strength that may exist between the sliding door plastic panels and the paint primer. 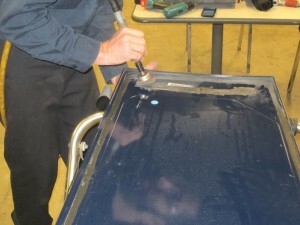 The following procedure must be performed on both right and left side panels, if equipped. Use only the approved primer and adhesive materials listed in Attachment II of the bulletin. Note: The plastic panel is removed in the same manner as fixed glass. Figure 1: This is the sliding door plastic panel (1466B). 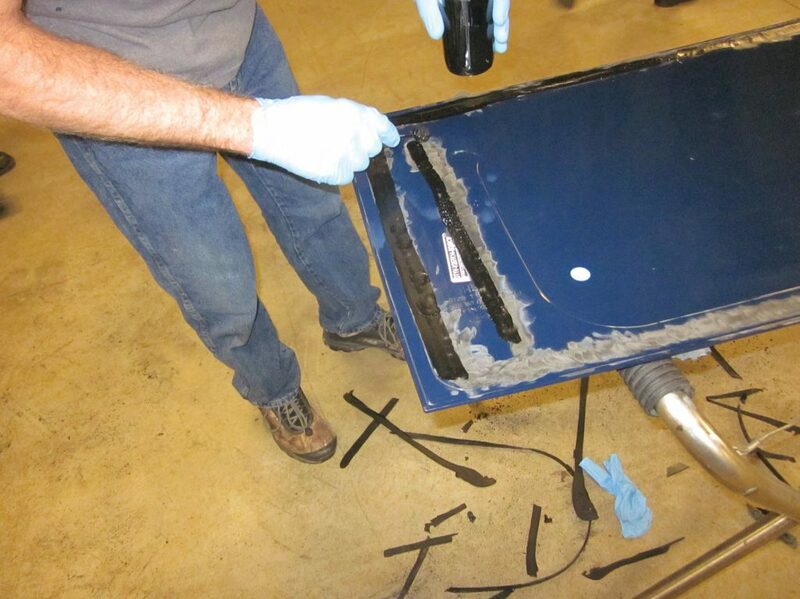 Remove the remaining urethane from both the sliding door pinch weld and the sliding door plastic panel using a suitable knife by hand. Note: As instructed in the WSM, be sure to leave a 1mm to 2mm (0.04 in to 0.08 in) urethane base on the sliding door pinch weld. Note: If the paint layer was damaged on the body pinch weld surface, be sure to restore protection as specified in the WSM procedure in Section 501-11. Note: To provide proper adhesion, all paint and old urethane must be removed from the urethane bead path on the plastic panel prior to applying new black primer and new urethane adhesive. Remove remaining urethane from sliding door plastic panel using a wire-cup air-powered rotary tool. Clean and remove dust from grinding using a clean dry cloth. Apply black primer to the bead path on the sliding door plastic panel and allow to cure according to the manufacturer’s specifications. one important thing you missed was only 2 urethanes are approved for this recall that is sika moveit and beta seal no other urethanes should be used according to ford tsb. we have done several of these for our local dealer. Thanks, Alan. Good to know. I was trying to get the actual instructions from Sika and Dow in this procedure. I received a call from my long time friend Mario Beltran from C. R. Laurence and he corrected me concerning this sentence, “I have seen Sprinter dealers who adapted Dodge Sprinters into Mercedes and Peterbilt Sprinters simply by changing the grills and hoods.” He corrected me saying that it wasn’t the Peterbilt brand but the Freightliner brand of vehicles using the Sprinter frame. Mario caught me trying to use my memory instead of double checking the facts. I am sorry for this mistake. I pride myself on researching the facts and I slipped up. Thanks Mario. We just received a call for one of these and have never done them. However, we have heard that the plastic can scratch very easily…does anyone have any tips they can offer? Thanks in advance! Just had one of the side panels come off on the beltway. It could have kill someone. Can you imagine this metal panel flying into your windshield. If i would have known that any part of the outside was glued and not wielded, i would not have purchase this van. They got me good. Just had one come off driving down WA 97! Had a nice 5 hour drive in pouring rain and 38 degree weather after it came off. Seriously, they couldn’t put two bolts in this thing?